The City of Emporia offers a great deal of recreational functions. A person can easily find themselves enjoying the splashes of the Jones Aquatic Center, playing racquetball at Emporia’s public recreation center, or wandering around in one of Emporia’s 18 parks. Whatever the affair might be, Emporia does its best to compliment the event. 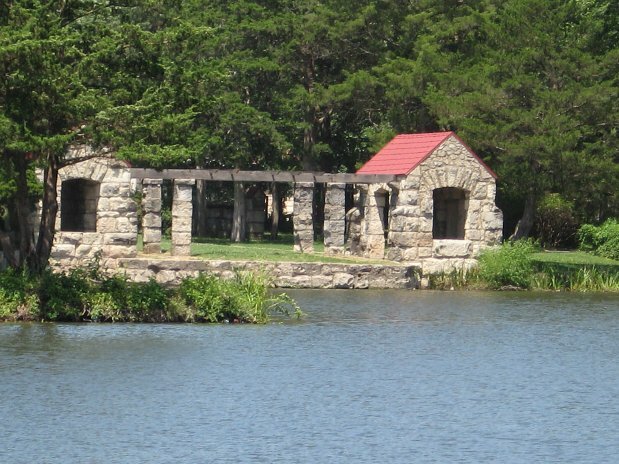 The parks of Emporia are the flagship of recreation due to their variety and size. In all, Emporia’s 18 parks mass a little over 250 acres; all of which are packed full of more than enough amenities for even the most adventurous and active persons. The four largest parks are Peter Pan Park, Jones Youth Recreation Park, Hammond Park, and Soden's Grove Park home of the David Traylor Zoo of Emporia. Combined, these parks offer the City of Emporia a place for tennis, disc golf, basketball, bocce ball, nature trails, covered picnic shelters, fishing ponds, amphitheater, and basic playground environment. 2018 will bring three new playgrounds and a splash park. Visit the pages for Jones Youth Recreational Park, Las Casitas Park and Peter Pan Park and scroll down to see renderings for these improvements! If you do not feel like a day at the park, Emporia’s Recreational Center has other fun and games. Inside you will find a gymnasium that hosts basketball and volleyball, a game room with billiard tables, snooker table, air hockey rinks, electronic dart boards, and an indoor pool for those more aquatic. If you are looking for swimming, the Jones Aquatic Center offers more variety than Emporia’s Recreational Center. Opened on May 25th 2002, the Jones Aquatic Center has been serving Emporia every summer. Complete with slides, sprinkling waterfalls, aquatic basketball, and a lazy river; the Jones Aquatic Center has it all. For golfers, Emporia hosts an 18-hole public golf course a few miles south of town. Opened in 1970, the Emporia Municipal Golf Course has been serving the community at reasonable prices. The golf course also bares host to many corporate and personal tournaments throughout Emporia and the state of Kansas. All these options allow for the City of Emporia to provide the community with both fun and safe recreational activities.